Currently in the process of moving from Aberdeen to Musselburgh and was excited initially at the prospect of having access to speed in excess of what I currently have with FTTC. I have tried the VM website with the postcode of the property I'm interested in (EH21 6TL) but the site just seem to go into a loop and asks me to confirm the address over and over. So what I'd like to know is, Are Virgin Media services available in Musselburgh or not? Some sites I've found on google say yes and others no. 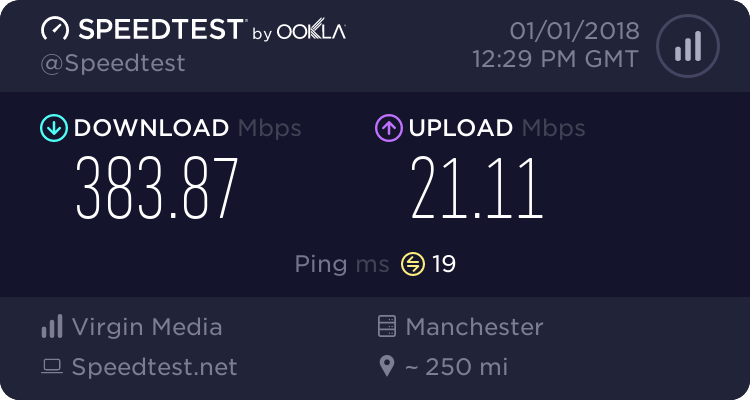 If not, it's not a dealbreaker, but I would like to get access to decent speeds for a change! We can see a couple of tests in the area but checks end up looping like you do. The BT Wholesale ADSL checker is showing 70 to 80 so at least you'll be OK with that. Looks like you are out of luck..